Mac Owner? 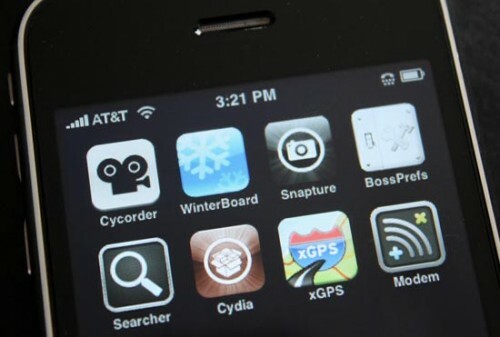 Want Try the Untethered iOS 4.2.1 Jailbreak? Here now! I know that most of your are waiting eagerly for the untethered jailbreak solution on iOS 4.2.1 for new-generation iOS devices. As most of you know, the iPhone Dev Team already has the backup plan to achieve iOS 4.2.1 untethered jailbreak for Christmas Eve. Just a few minutes ago, the iPhone Dev Team has confirmed the release of untethered iOS 4.2.1 jailbreak for the Christmas Eve and asking for Mac OS X owners to help them with testing the the backup plan. To survive in this, you must be a Mac owner, got iOS 4.2 beta 3 SHSH blobs on your Mac or that Cydia has your 4.2b3 SHSH hashes that was automatically saved (in the status bar), and have a new-generation iOS device (i.e. iPhone 4, 3GS, iPad, iPod 4G, 3G). If you fit all the above qualifications, so you can follow @Greenpois0n on Twitter and give the Dev-Team a comment in this post to get the backup plan right now ! Let us know how does it go with you. Also stay tuned for a Christmas launch for public.